This is long overdue, but it’s time I write about my experiences with the late Ernie Banks. 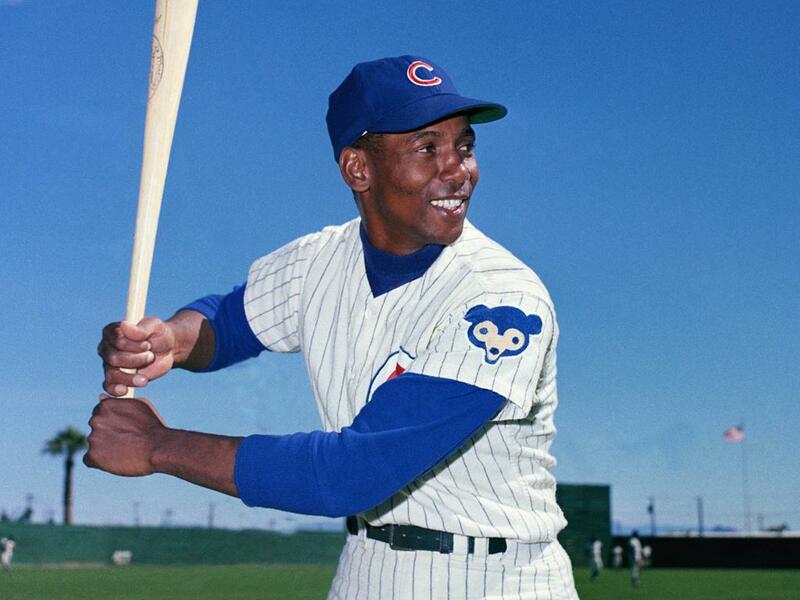 Mr. Cub passed away after suffering a heart attack exactly one month ago, on January 23 of this year. The national outpouring of remembrances and testimonials to his character were mind boggling. Not only was he recognized as one of the best baseball players to ever don a uniform, but he was also noted for being one of the finest individuals to walk the Earth. The Family Golf Center was truly something special. 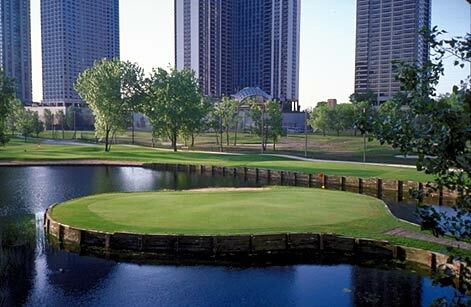 It was home to a 9-hole par-3 course that was far from challenging, but nonetheless a thrill to play every time. Its signature 9th hole was beautiful, however, featuring a somewhat daunting island green. The driving range featured dual hitting lines directly across from one another. While spaced well over 300 yards apart, on windy days golfers were not permitted to swing their drivers as the stiff Chicago gusts that would tear between the buildings if coming from the west, or roar off of Lake Michigan when blowing from the east, would carry well struck drives majestically across the range, much like one of Ernie Banks’ 512 professional home runs. One of the most amazing things I’ve experienced as a golfer was to be able to stand on the east side of the range at night and hit golf balls directly toward the immaculately lit Chicago skyline. There is little in the world that can compare to swinging a 5-iron and striking a perfect, high-arcing shot as it soars into the glitter of the sparkling lights of the office buildings, hotels, and condos that decorate the night sky. Don’t even get me started on nights where Navy Pier fireworks lit the horizon over the lake, or that time of year of the Air and Water Show when the Blue Angels would roar between the downtown buildings, disappear so far over Lake Michigan that they must have crossed into Indiana, only to return moments later in perfect formation and disappear to the west of the City. And repeat. It was one of the greatest jobs I had. Sadly, my time there only lasted a single summer, and the Golf Center closed in 2003 as the land was repurposed by developers who turned it into an urban suburbia of sorts. Needless to say, I accrued many wonderful memories that stay with me from my several month tenure at the Center. However, there was also a significant not-so-wonderful memory, as the events of the morning of September 11 that year unfolded. After watching, stupefied, as the World Trade Center towers came tumbling down, I realized I still had to go to work. Almost in a daze, I found myself driving into a eerily abandoned downtown Chicago, as those who worked there scrambled to evacuate the city. I walked into the facility to find my colleagues glued, teary-eyed, to the giant screen television in the bar. None of them looked up when I walked in, and after taking care of a few essential responsibilities, I joined them. We did have a scant number of patrons come to hit balls from the range that afternoon, if only to escape the horror of what we were all subject to that morning. But I remember taking a moment to stand outside alone, staring up at the massive Aon Center. Built just a year before the Twin Towers in New York City, the Aon’s construction design was actually duplicated for the Towers. It was a humbling moment to be in the shadow of this skyscraper, unable to comprehend the unfathomable prospect of such a massive structure crashing to the ground. Like everyone else alive at the time, I’ll never forget that day. I could probably write pages and pages about that summer at the golf course, but my most cherished memories of working at the Chicago Family Golf Center, are those that involve the presence of Ernie Banks, who would frequent the course. Before I had the opportunity to meet Ernie, I’d heard of his regular visits from the others with whom I worked. One of our golf pros, Gil Davis, would speak of Ernie as though he were an old friend. I soon realized that he was. Ernie was everyone’s old friend, even if you had just met him for the first time. On days when Ernie would show up, he would enter the Family Golf Center with a humble flourish. Naturally, everyone knew who he was. Patrons would stop whatever they were doing, their faces lighting up instantly. Whether one was a baseball fan or not, a Cub fan or a White Sox fan, everyone took immense delight in having the opportunity to be in such close proximity to a living legend — literally; in 2009 Ernie Banks was designated as a Library Of Congress Living Legend. Usually, Ernie would stroll casually toward the Golf Center’s front desk, shaking hands with whomever presented one. He would trade some banter with the employees he knew, and go out of his way to get to know those he did not. His glimmering teeth shone as that seemingly permanent boyish grin seldom left his face. He wasn’t the skinny kid anymore who was the first National League player ever to win back-to-back Most Valuable Player awards in the 1958 and ’59 seasons. His ankles were still skinny, but his thighs and hips were widened with age and hip replacement surgeries. He walked, not with a limp, but the gait of a man who had given his all to the 19 years he spent playing professional baseball. His shoulders, while not withered, were far from the shoulders of the man who hit more than 40 home runs in five different seasons. But then you shake his hand. While the strength of his handshake was far from overpowering (perhaps an intentional gesture from a man who was aware of his own prowess with a baseball bat), his massive paw would engulf the average person’s own hand, rendering it nearly invisible. And if one were astute enough to notice his wrists, he or she would swear that those wrists hummed with the intrinsic mass that is energy at rest. It wasn’t difficult to see why this once impossibly slender figure was such a prolific power hitter. After catching up with employees and customers around the front desk, Ernie would walk slowly through the Center’s restaurant/bar. This is where I first met him. While I was a low-level manager of the Golf Center, my bartending skills were the most valuable to the place during the lunch rush. Those individuals lucky enough to be in attendance when Ernie stopped in would say hello, invariably greeted with his trademark smile, and his standard line, “How ya doin’? How’s the wife?” It didn’t matter if he knew who you were, he always asked about the family. Whether he actually cared about you or not, he sure as hell made it seem like he cared deeply. So when I finally met him for the first time, I found myself starstruck. I’d seen him many times from the various vantage points that was my seat on any given day at Wrigley Field, as he’d show up at the ballpark regularly, embracing his role as Cubs’ ambassador. He would mingle among the players, constantly waving at fans. But when I met him in person, and Gil introduced me to him, I couldn’t help but revel in his presence. This was Ernie Banks! This was Mr. Cub! This was the first ballot Hall of Famer that my grandfather would gush about with adolescent giddiness. I was shaking hands with Ernie Banks. And look at those wrists! The content of our first conversation is largely lost thanks to an inability for me to even comprehend at the time that I was meeting this man. But I do remember that he immediately put me at ease asking me a couple questions about golf. I’m pretty sure he cracked a joke about Gil’s own golf game, implying that it needed work (which it seldom did, from my perspective, anyway). Then he ordered something to eat, and went outside where he and Gil sat at a table on the patio, enjoying one another’s company beneath the shade of an umbrella. Ernie was a relative fixture at the Golf Center whenever he was in town. He was there often enough that he knew my name. Ernie Banks knew my name! My favorite visits were always when he’d arrive mid-afternoon during the week when the place was quiet, and the bar essentially empty. Our exchanges almost always went the same way. ERNIE: Hiya, Mike! Good to see you. How’s your wife? How’s the kids? ME: Hello, Mr. Banks! I still don’t have a wife. And still no kids. ERNIE: Well why not, Mike? Don’t you like kids? Marriage is the greatest. It’s great to be in love with a wonderful woman. ME: I know it, Ernie. I just haven’t met the right woman yet, I guess. ERNIE: You will, Michael. You definitely will. What kinda woman you lookin’ for, anyway? ME: Well, she better be a Cub fan. ERNIE: (laughs) Well that’s the truth. You’re a good man, Mister Mike. I’ll keep my eye out for a woman for you. We gotta get you some kids. More than a decade has passed since those interactions, and still I remain unmarried and childless. But virtually every time I saw him, Ernie asked, “How’s your wife?” I almost feel like I let Ernie down. Actually, one night that same summer I found myself at a tavern called Tai’s ‘Til 4. It was a Wrigleyville staple that remained open until 4:00 am, hence the name. On this particular night, former Cub relief pitcher and notorious night-life enthusiast Kyle Farnsworth was behind the bar, pouring shots for patrons. I worked my way up to the bar, and managed to get his attention for a moment. Needless to say, Farnsworth was more interested in interacting with the ladies than he was with me. But when I mentioned that I was an acquaintance of Ernie Banks he actually leaned closer to talk to me. I remember asking about Ernie’s presence in the Cubs’ clubhouse. “When Ernie comes into the clubhouse, does he ask you about your wife and kids?” Farnsworth’s face lit up with a smile as massive as his gigantic forearms, and he actually stood up tall, leaned back and laughed out loud. He acknowledged that, yes, in fact Ernie would ask him that every time. He would ask everyone that same question, or some close variation. With this sudden kinship formed, Farnsworth shook my hand and poured us both a shot of something-or-other. We toasted to Mr. Cub, shook hands again, and then Farnsworth returned the focus of his attention to the ladies. My absolute favorite memory of Ernie Banks, however, came late one evening as the summer was quietly dwindling away, and when the driving range was quiet. It was probably around 7:30 pm on a night when the sun wouldn’t set for at least another hour. I had been out on a golf cart just checking on the grounds. Only a few golfers were out on the course, and a smattering of individuals peppered either side of the driving range. I completed some of my various duties and headed back toward the maintenance shed, parked the cart, and proceeded toward the bar. I walked up toward the patio to find Ernie and Gil seated at a table, side by side, facing the driving range. They were just talking casually when Ernie saw me approaching. “Mike,” he said. “How’s the wife?” But before I could reply he invited me to join them. “It’s a beautiful, beautiful night,” he said. “Sit down and relax. You work too hard.” So I sat down. For the next 40 minutes or so I sat with Gil and Ernie Banks, just casually talking about nothing in particular, and everything in general. He asked Gil a few questions about how to adjust his golf swing. He asked me some general questions about my golf game. I told him that I didn’t generally score all that well, but I was surprisingly long off the tee. I want to say that he smiled and made a comment about skinny guys with power. Then he gave me a tip or two, as Gil sat quietly and smirked. Eventually the conversation turned to a new style of tee that Ernie had begun using. His golf bag was situated just beside him, so he reached into a pocket and pulled out a handful. They were made of some sort of synthetic material and were supposed to help one’s drive remain true. Gil looked at it and I think he sort of wrote it off as a gimmick. When asked by Ernie, Gil acknowledged that he had tried them and didn’t necessarily notice a difference. Ernie then asked me if I’d ever hit off one . I told him that I hadn’t, so he insisted I try it right then. He tossed me the tee, and pulled a club from his bag. I think it was a 4-iron. “Go on, Mister Mike. Hit some balls with this.” I stood and took the club from Ernie’s huge hand, I clumsily grabbed a handful of range balls that were in a small bucket near Ernie’s feet, and walked the 20 or so feet to the hitting line on the range. As I palmed a beat up, red-striped driving range golf ball, I bent down to press the tee into the turf. I stood and wrapped my hands around Ernie’s club. It was then that I became truly aware of the fact that the same hands that had once hit five grand slams in a single season (a record that stood for 32 years until Don Mattingly hit six in 1987) were regularly wrapped around the grips on the golf club that I was now clutching. I actually paused, standing upright with the club head in the air, and gazed at my own hands, my right pinky finger locked beneath my left index finger, as I cradled the club. A smile crept across my face. Before lowering the club to hit from the tee, I glanced back at Gil and Ernie. They both sat with crooked grins on their faces, somehow aware of the moment I was experiencing. Gil’s smirk conveyed an almost big-brotherly appreciation for being privy to this moment. Ernie’s smile was almost bashful. Not embarrassed, but humble. He knew that this was sort of a big deal for me. In hindsight I almost feel sort of silly. I wasn’t holding the bat that Ernie used to hit his 500th homerun, but to the 27-year-old kid holding Ernie Banks’ golf club, it might as well been just that. I quickly gathered myself and stepped up to hit some balls off of Ernie’s tee. I have no recollection of how well I struck those balls, or if that tee in anyway affected the quality of my shots. But I’ll never forget the smell of the grass, or the scent of the lavender bushes planted nearby, or the faint odor of the car exhaust that sometimes wafted from the traffic speeding along on LSD. When I then exhausted the handful of balls I’d initially grabbed, Ernie reached into the bucket and effortlessly tossed another ball toward me. I’d tee it up, hit it, and he’d toss another. In all he probably tossed 10 or 12 balls my way, each invariably coming to rest at almost precisely the same spot between my feet. Even at 70 years old, this guy was still an athlete. I finally walked back to the table, returned the club to Ernie, and resumed my seat along side him and Gil. We talked some more about the tee. We talked some more about random other things, as well. Again, the topics escape me. Slowly the sun began to disappear further behind the mountainous buildings that stood behind us. Closing time for the Family Golf Center was approaching and duty called again. Gil also had some things to attend to, so the three of us stood, taking a moment to wrap up whatever it was we had been talking about, and Gil and I returned to work. 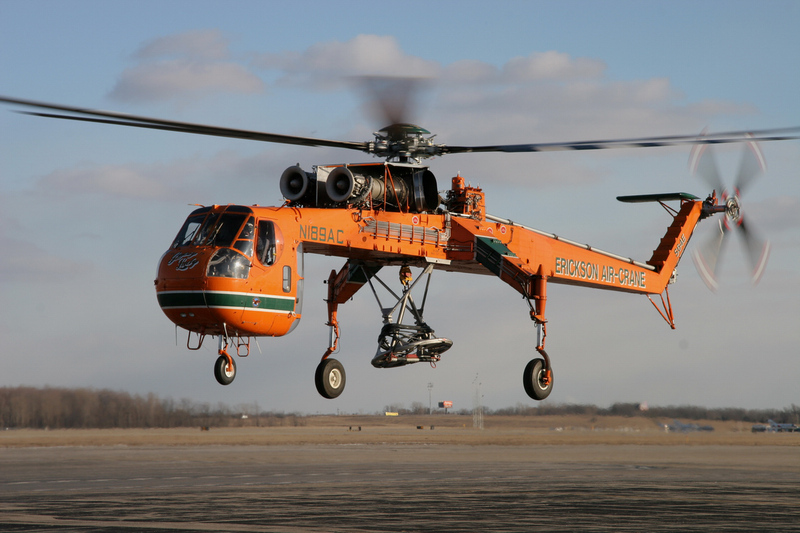 Ernie left the Center shortly after that, making sure to find us in order say goodnight. We shook hands again, and he walked out into the warmth of the summer night. I believe that to be the last time I ever saw Ernie Banks face to face. He often split time between Chicago and his California home, not to mention his other missions of baseball and human goodwill around the world. (This man actually once had an audience with the Pope. The freakin’ Pope!) As the summer turned to autumn, my short stint at the Family Golf Center came to an end, and with it so did my brief friendship with Ernie Banks. Sadly I also lost touch with Gil and the cast of characters I’d grown to enjoy so very much. Just another the many lost lifetimes I’ve experienced over the years. Clearly, I’ll never forget those interactions with Ernie Banks. I’ll never forget how he made me feel like I was someone he wanted to spend time with. I’ll never forget the soft Texas drawl of his voice as he spoke. I’ll never forget the gentle feel of his hand as it engulfed mine every time we shook hands. I’ll never forget the patience he exhibited as he signed autographs or took pictures with fans. (I never did get a picture of myself with him. A regret I have to this day. But I think at the time I was so content just to be around him that I honestly never considered it. Camera phones wouldn’t really be the norm for another two years or so.) But mostly I’ll never forget the sincerity that Ernie exuded at all times. He was always happy. He was always positive. He was always happy to see you. 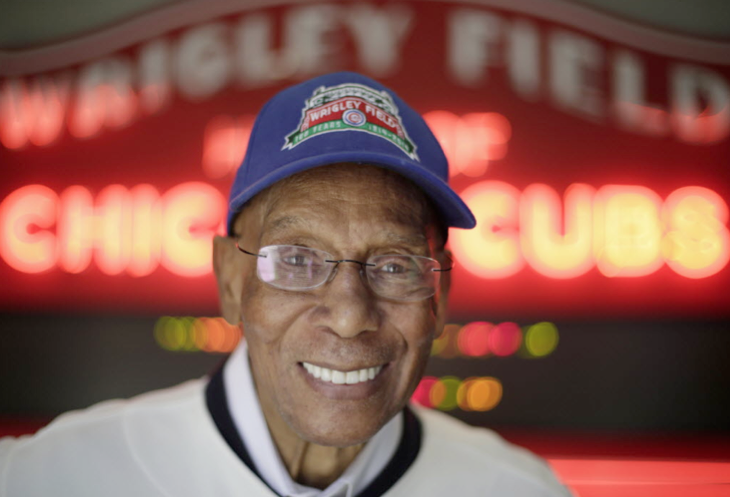 Ernie Banks coined the term “friendly confines” in reference to Wrigley Field, but really, anywhere that Ernie stood could be called as much, because I doubt there could ever be another person in this world who was friendlier. Fare thee well, sweet Mr. Banks. If you find yourself playing two on the Field of Dreams, hit one into the corn for me.